Multitasking has become a commodity in our current culture, what with a “make more with less” mentality pervading both the arts and workforce. Musician Dominic Fragman understands this better than most, it seems, as here we see him playing the entirety of Led Zeppelin’s “Black Dog” on his lonesome. Yep, that means drums, guitar, and vocals, with not a pedal in sight. Fragman’s no stranger to this one-man band thing. 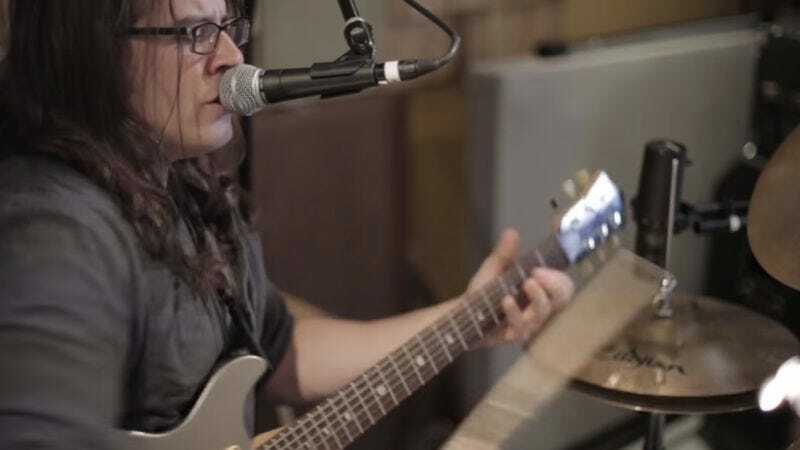 His YouTube page also finds him giving the same treatment to Rush’s “Tom Sawyer” and The Black Keys’ “Lonely Boy.” He tours as a one-man guitar, drum, and singing machine under the name Soul Trio. Think he mans his own merch table, too?